Last month saw my little man 3, right in the middle of the snow! There was a hairy moment when we thought we’d have to cancel his party because people wouldn’t be able to get there, but thankfully the snow cleared enough to make it ok. I wouldn’t have minded if this wasn’t the first year he had been talking (non stop) about having a party. We went to his Nanny’s party back in November and since then the idea that people have parties at their birthday has stuck. 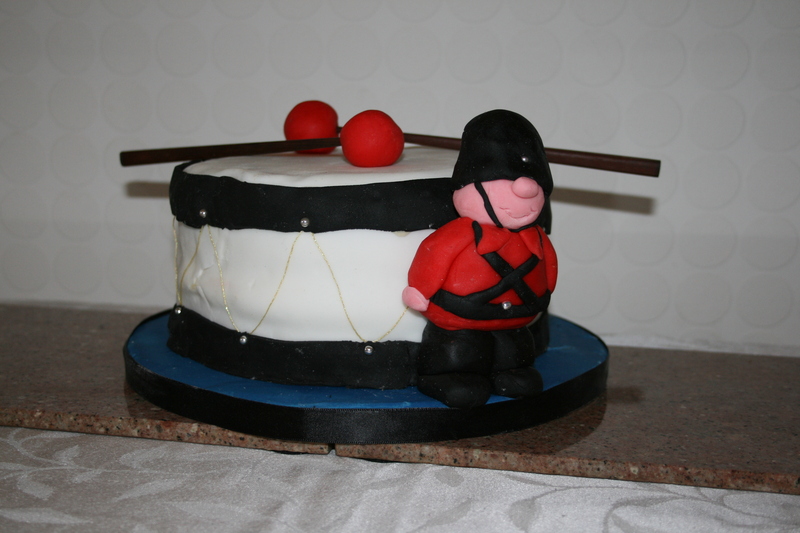 He was very definite about who he wanted to come and what kind of cake he wanted (he didn’t even ask, he just said ‘at my party I’m having a such and such cake’ – you’ll see in a minute what he wanted!). Thankfully he had a lovely time and is still talking about his party with all his friends and family (as well as the cake – I feel proud that he remembered the cake because it’s not that amazing). If you aren’t sure what it is (and I don’t blame you!) it’s Neep from Abney and Teal. His most favourite character from his most favourite programme. Neep is apparently a Scottish word for turnip (does that make it a little clearer? lol). I have to say Neep has given me no end of troubles because as of yet they don’t make Neep toys but he has a free gift from a magazine which he takes to bed with him every night and I’m so worried he’ll lose it or something. Anyway the cake itself was very easy to make. I baked a rectangle Madeira Cake, drew Neep on a piece of paper and cut around the template. I then covered it in butter icing and rolled out ready made fondant icing. I then made a nose, two arms and two legs. Finally I painted food colouring onto the icing. I couldn’t get the exact colour but Little Man seemed thrilled by it, so I suppose that’s the main thing! 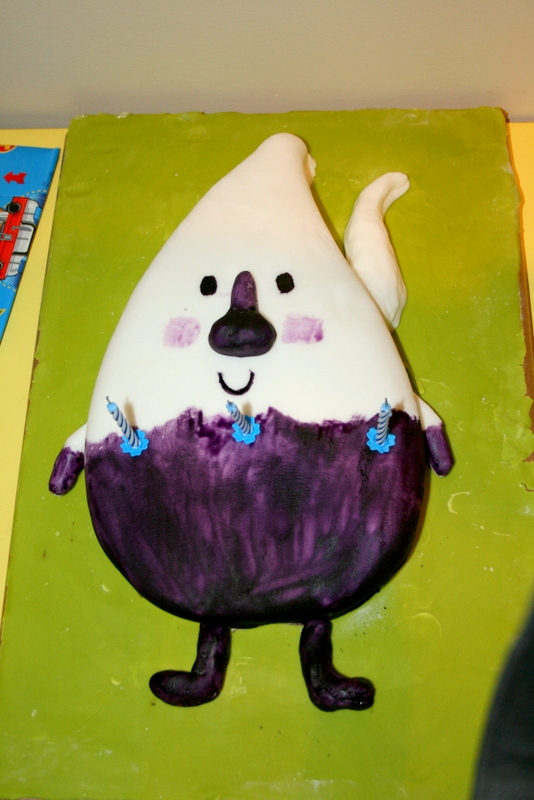 This is what he had for his Second Birthday as at the time he loved In the Night Garden. 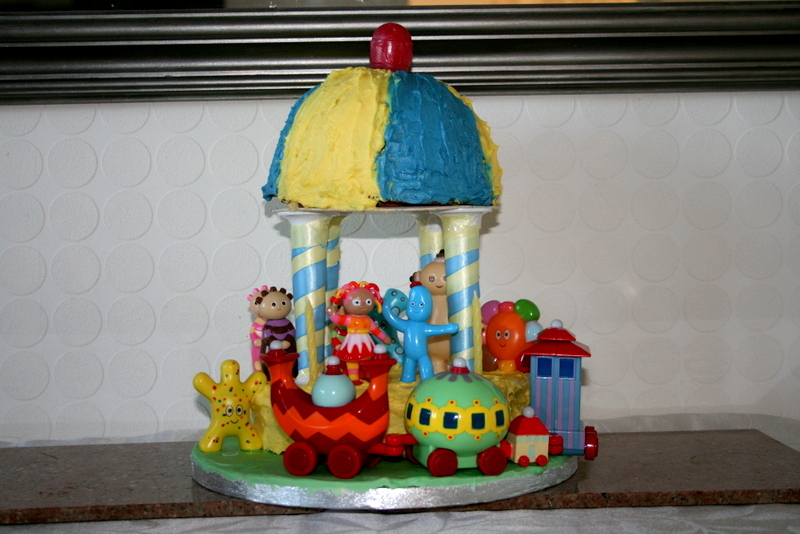 You can’t really see it but the main part of the carousel (or gazebo – there is some debate as to what it actually is), is a basic Madeira Cake covered in butter icing. I wasn’t too pleased with this on as I couldn’t get a proper round lolly pop to go on top and I went to the trouble of baking the top cake in a bowl, and cutting it into sections so I could shape it, but promptly forgot to shape the top before covering it in butter icing. Oh well. Little Man seemed happy at the time, so I guess it didn’t really matter that much. This is the cake I made for his first birthday. It’s probably my favourite one out of all of them and also the one that he won’t remember at all! The hardest part was making the man but the book I got it from (50 Easy Party Cakes by Debbie Brown) shows you how to make him. The cake itself is made from 2 Madeira Cakes with butter icing in the middle. I used chop sticks for drum sticks. I’m looking forward to having an excuse to make 2 cakes a year soon. Hopefully by the time Little Man and Little Miss are old enough to remember their cakes, I will have been able to practice a bit more and improve! In other news, I’ve lost my camera. Which is a shame because I’ve been a busy crafting bee since Christmas and I have lots of new projects I want to share with you. I will upload as soon as I either find it or work out how to use hubby’s swishy camera.